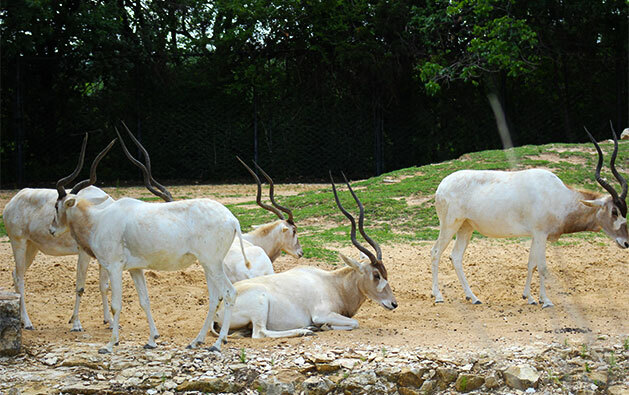 First established in 1888, the Dallas Zoo is the oldest zoo in the great state of Texas. 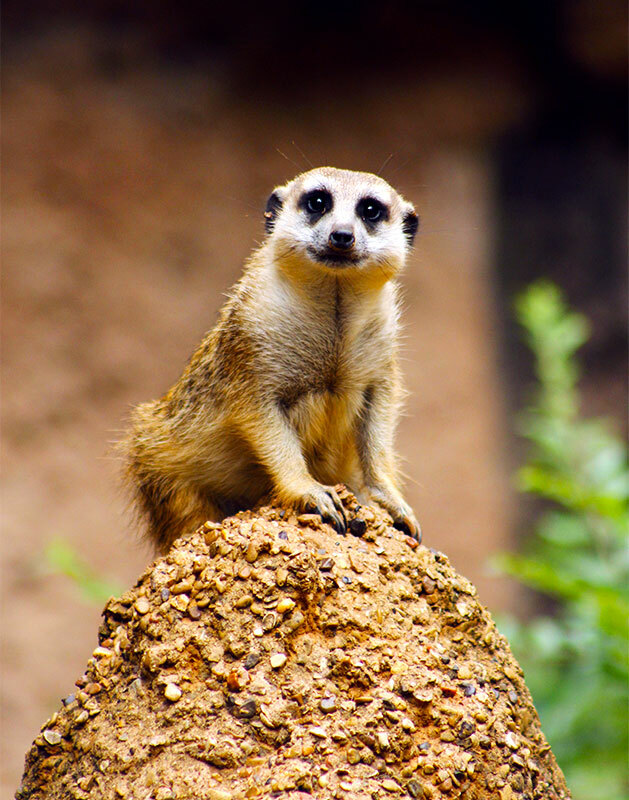 Among many things, it likes to boast being the largest zoo in Texas, the only zoo in the state with koalas, and was the first zoo in the U.S. to combine African elephants with zebras, giraffes, impala and other savannah creatures into the same habitat. I think it’s safe to say the Dallas Zoo measures up to the phrase: “Everything’s bigger in Texas”. 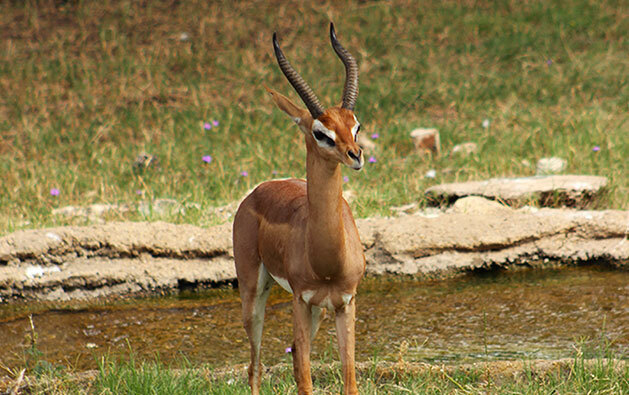 Twenty-five acres of the Dallas Zoo are devoted to African exhibits in an area called the African Wilds. It features all six of the major habitats found on the African continent: bush, desert, forest, woodland, river and mountain. 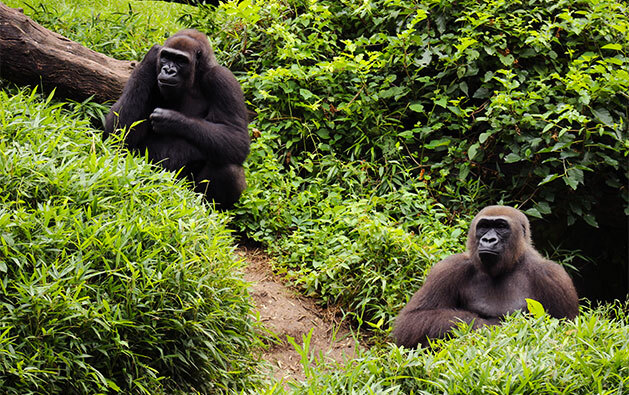 From Elephants, to Cheetahs, to Gorillas, all of your staples are here to see. 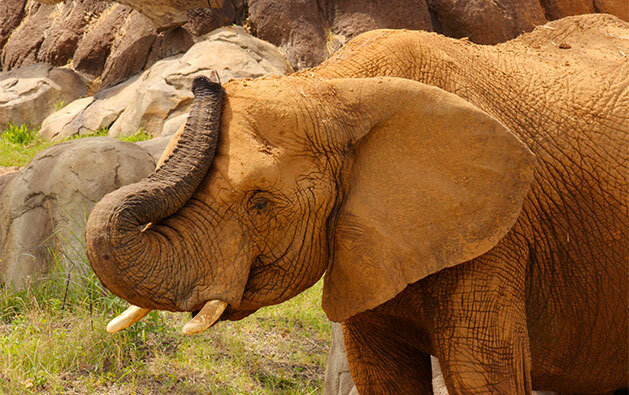 The section that stands apart is the Giants of of the Savanna where Elephants can be seen roaming alongside giraffes, zebras, ostriches and even small guinea fowl just as you would see in the wild. It’s a very large and impressive exhibit with plenty of room for the animals to explore and for visitors to watch. I especially enjoy the bird’s-eye-view from the lookout deck when taking photos or looking for a break in the shade. 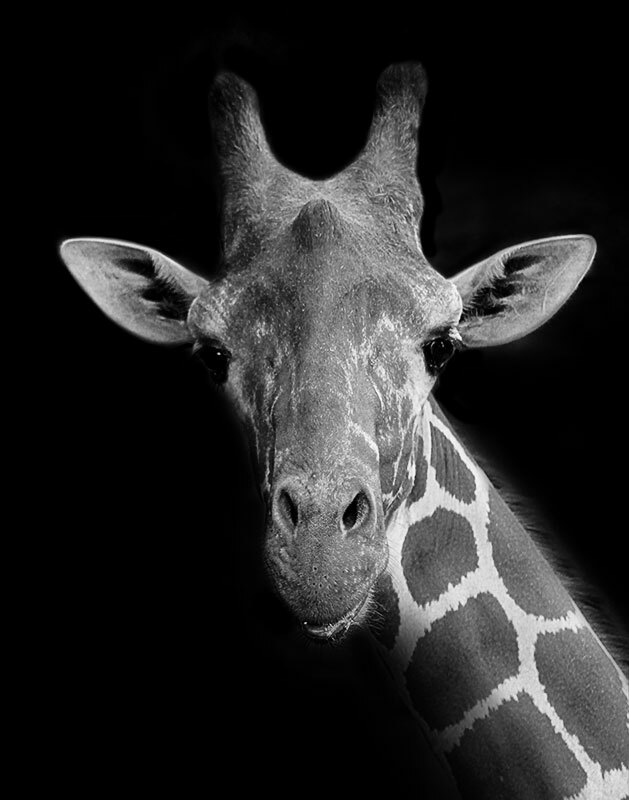 The Dallas Zoo goes to great lengths to grow and create a strong brand presence. As a graphic designer by trade, I especially love seeing that the Dallas Zoo puts a lot of value on its marketing efforts. 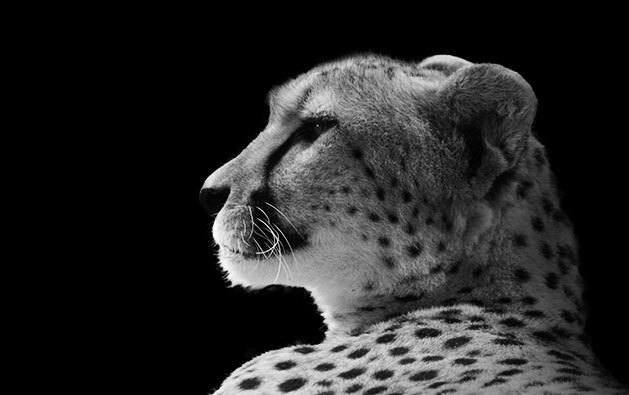 Zoos are often up against critical accusations that they cruelly cage wild animals and do more harm than good. 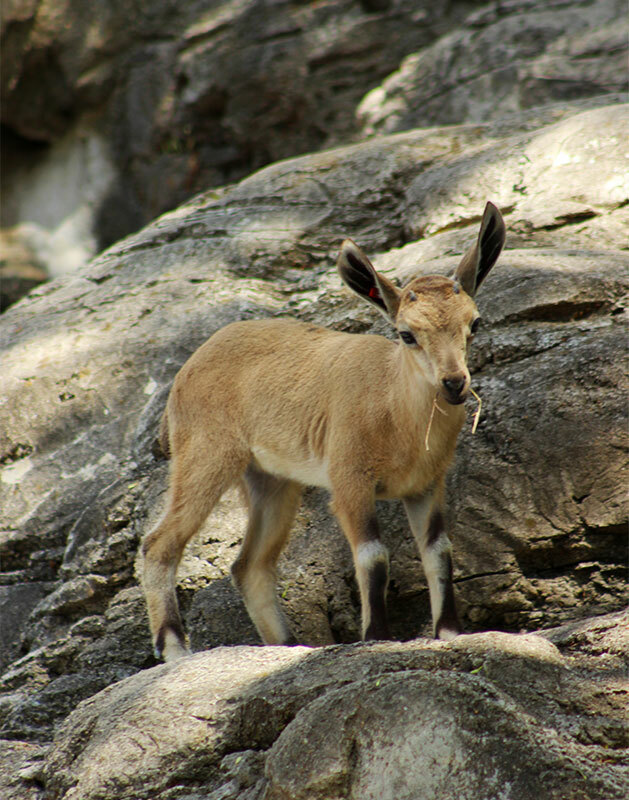 To combat this, the Dallas Zoo actively reaches out to its community to educate about its conservation efforts and general news around the park. It’s social media presence is strong, the website and blog are regularly updated and the zoo regularly partners with media and broadcast stations to create a national presence. 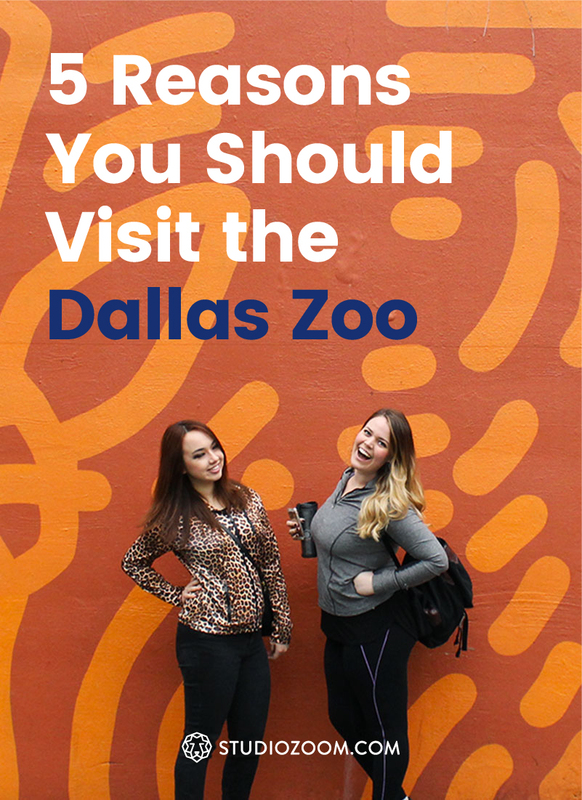 The Dallas Zoo has also strategically placed branded murals, sculptures and rotating art exhibits throughout the park which have become magnets for guests to take photos in front of and post on their personal social media accounts. Like. Share. Repeat. The Wilds of Africa Adventure Safari monorail has been a staple at the Dallas Zoo for over 25 years. I love this ride because it’s a welcome break from walking the enormous park in the heat of Texas summers. It’s a chance to sit back, listen to the tour guide and see some exhibits that are only visible along the monorail track. From a photography standpoint, I rarely get any successful shots while on this ride as it’s constantly on the move and it’s bit too bumpy to keep from getting camera shake. Nevertheless, I always enjoy hopping on the monorail as it forces me to put the camera down and just take in the scenes without looking through a viewfinder. During the summer months the Dallas Zoo extends its hours on Saturday nights and throws a pretty rockin’ party. Food trucks, live bands, family activities and a special wildlife show are among many of the attractions they offer throughout the evening. I personally like to take advantage of the extended hours to catch some photos of the exhibits at sunset when many of the animals are active in the cooler temperatures. Access to the event is included in your admission to the zoo and all you really need is a fold out chair and some cash for food trucks and drinks. You just can’t beat spending your Saturday night under the stars, listening to great music with a cold drink in hand all while surrounded by your favorite fur friends. 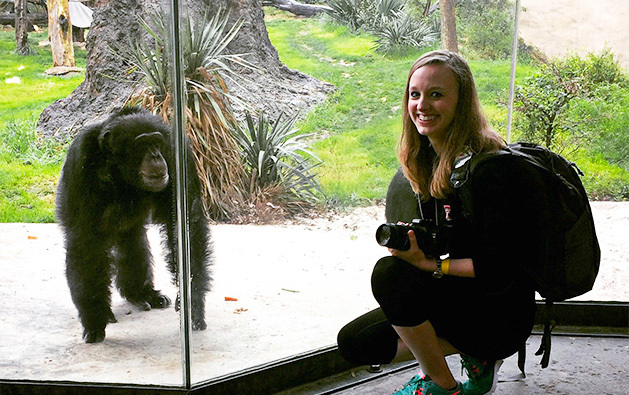 My favorite exhibit to visit at the Dallas Zoo is hands down the Chimpanzee Forest. 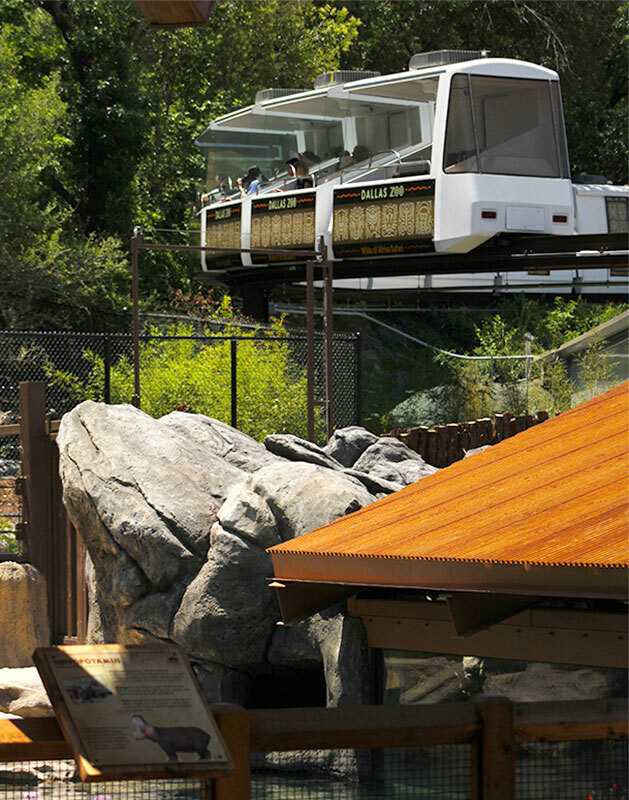 There are quite a few vantage points to view the large chimp enclosure including from above while riding the monorail. I personally prefer the glass viewing section where I can get right next to the animals with just a piece of glass separating us. 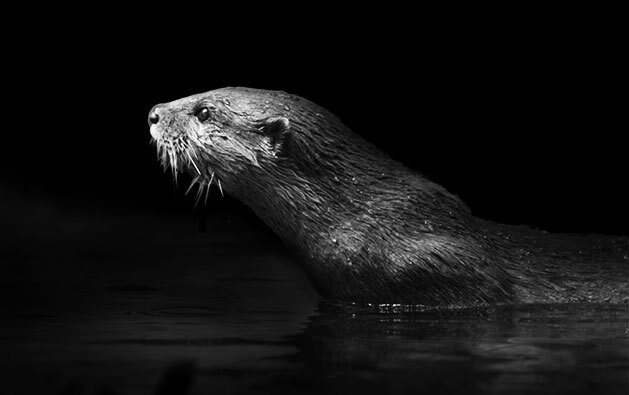 Talk about up close and personal with your subject! 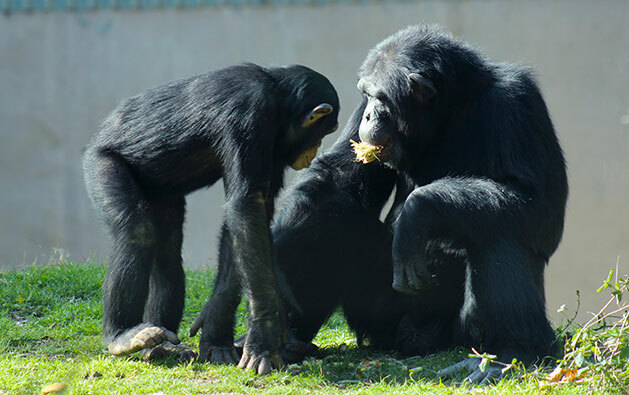 Chimps have complicated family structures and drama always unfolds when these guys are out on exhibit. Mothers and aunts care for the young, while adolescents learn from their elders and adult males spar with each other to establish dominance. It’s a rom com, thriller and soap opera all wrapped in one! I admit the Dallas Zoo takes the cake in being proactive and finding ways to improve and stay up to date. It’s enclosures have been designed or rebuilt so that they are comfortable for the animals and provide ample viewing opportunities for guests. My biggest complaint for this zoo has to be that the monorail provides the only opportunity for you to see a large portion of the African exhibits. There are no walking paths near these exhibits and the constantly moving monorail itself doesn’t allow you to stay and observe each environment at your own leisure. With so many interesting species like the Gerenuk, Nyala and Eland, I feel like I only get a glimpse of what they look like as the rail system doesn’t slow or stop for anything. In the summers, it’s much more bearable to arrive early when you can beat the heat and get a good parking spot. It’s definitely worth it to take the long walk to the back of the zoo and hop on the monorail first. The line for this attraction can get pretty long and your time could be better spent visiting the rest of the exhibits if you beat the crowd and cross this off your list first. 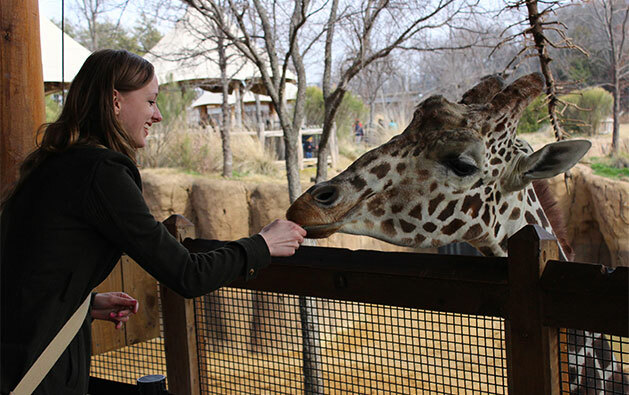 The great thing about many of the Dallas Zoo’s exhibits is that they are focused on immersion and connecting with the animals. 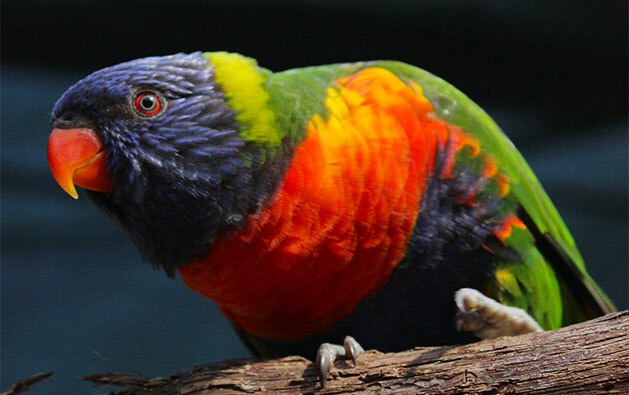 You can feed nectar to the birds in Lorikeet landing, stand next to and play with the Gorillas from behind the glass, and even feed the giraffes at eye level.